The Blinders aren't about to start pulling their punches. Indie with a punk edge, the band's outrageous, incredibly potent live shows have blazed a trail across the land, leaving scorch marks in venues from Cornwall to the Scottish Highlands. 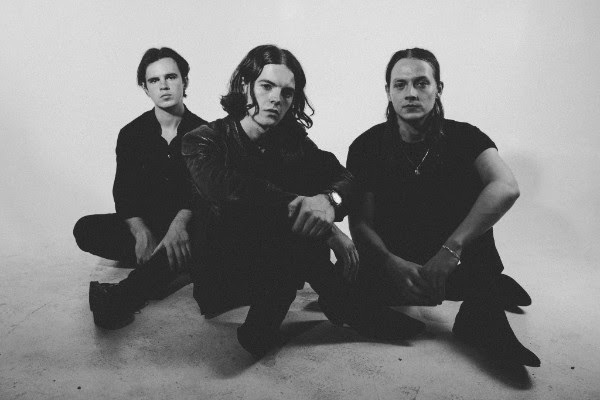 Set to hit the road again this Autumn, fans can catch The Blinders headlining the BBC Introducing stage at Reading and Leeds festival over summer, before hitting Tim Peaks at Festival No. 6 in Wales.. Debut album 'Columbia' arrives on September 21st, following feverish work in the studio alongside producer Gavin Monaghan. A true reflection of these dystopian times, the record is fuelled by the work of George Orwell, Kurt Vonnegut, and potent indie touchstones. New single 'Brave New World' is about the distorting impact of hyper-capitalism, referencing everything from Trump's Presidency to Aldous Huxley. For tickets to the latest shows by The Blinders click HERE.